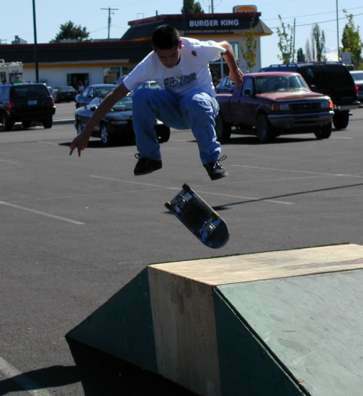 There are a series of meetings discussing a skatepark for Madras. We are investigating dates and contacts. 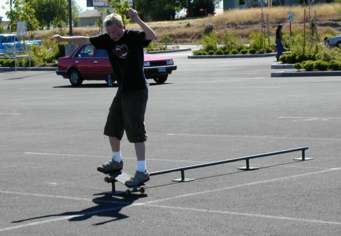 For now they set up a couple of rails and ramps in the Bi-Mart parking lot. 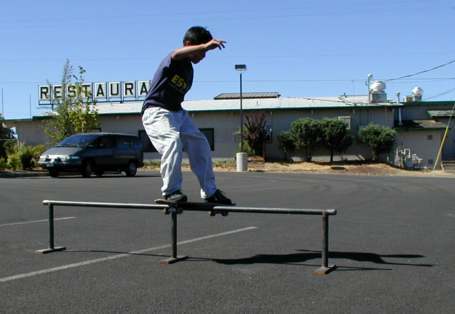 David Santos has this rail down. 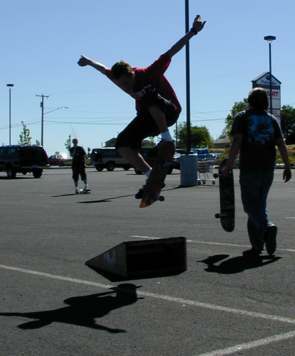 Jake Laughin attempting a 360 flip (?). Jake has a rad nose pick, too. 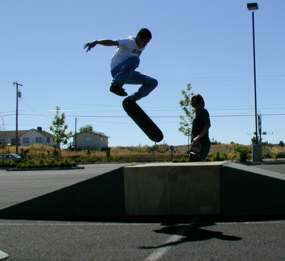 The Brothers Halstead: Jason ollies while Darren rail slides. 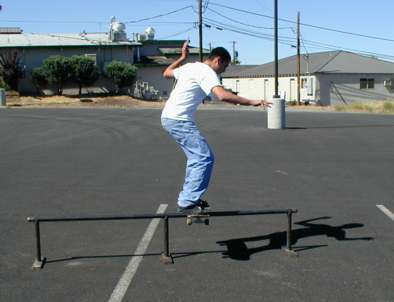 David was trying railslide to shove its and railslide to flips. A broken board doesn't stop older brother, Abel Santos from a railslide to fakie. David stones Goliath Gap. 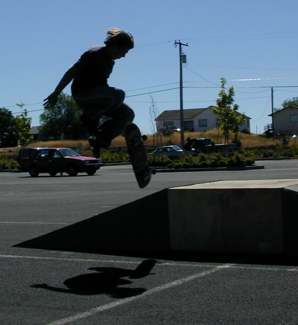 Madras' neighbor, Redmond, is currently in process of building a skatepark. They are hoping to hire Dreamland Designs, the Burnside crew. 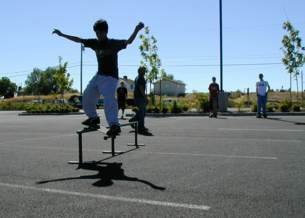 Keep active with Redmond, help them build an amazing park for Central Oregon, then Redmond can help Madras follow suit. Many hands make fast work.